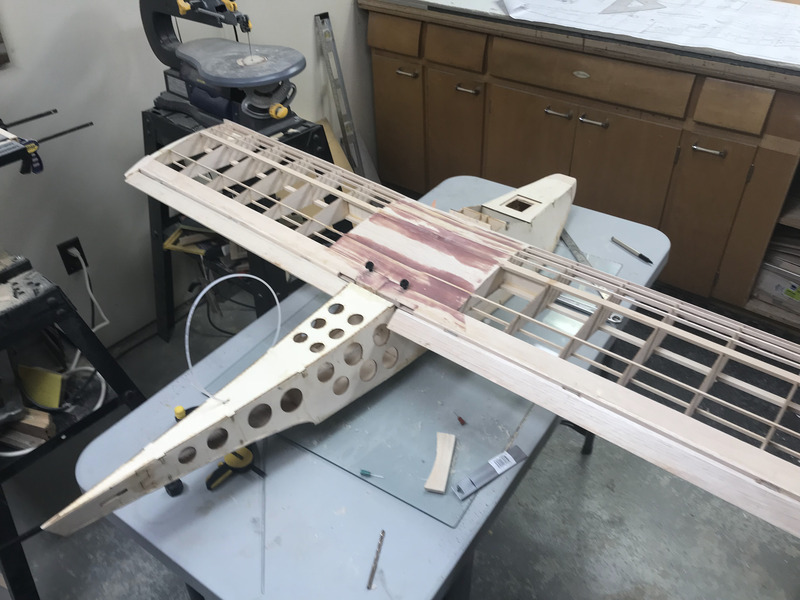 On May 2nd we did a fitting of the wing into the fuselage and figured out where the wing hold down bolt holes needed to be drilled. 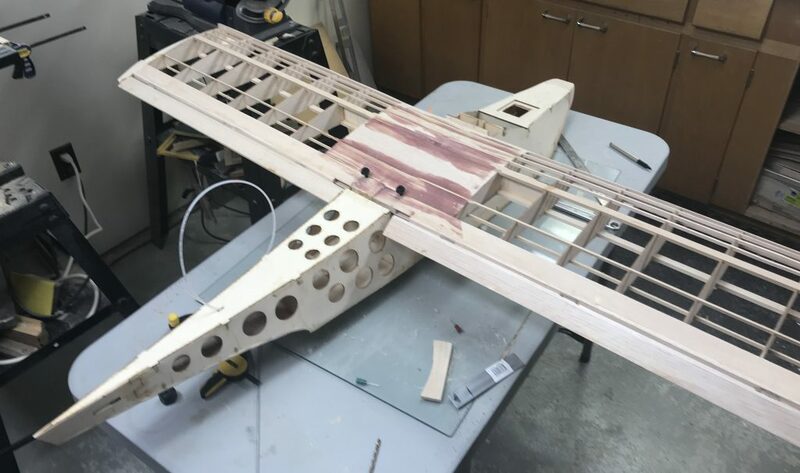 My first drill was a little off, which is why we do some test drills with a tiny bit to see where it lines up with the wing bolt down blocks glued into the fuselage. Once happy with the angle and how everything will fit I drilled the hole with using a bigger bit right into the wing hold down blocks. The final result can be seen in the picture above with the bolts started in the corresponding wholes to ensure they line up and will work.